Our pet memorial urns are cast in resin and hand-finished to an antique brass style finish. They feature felted tips to protect the surface of your furniture. 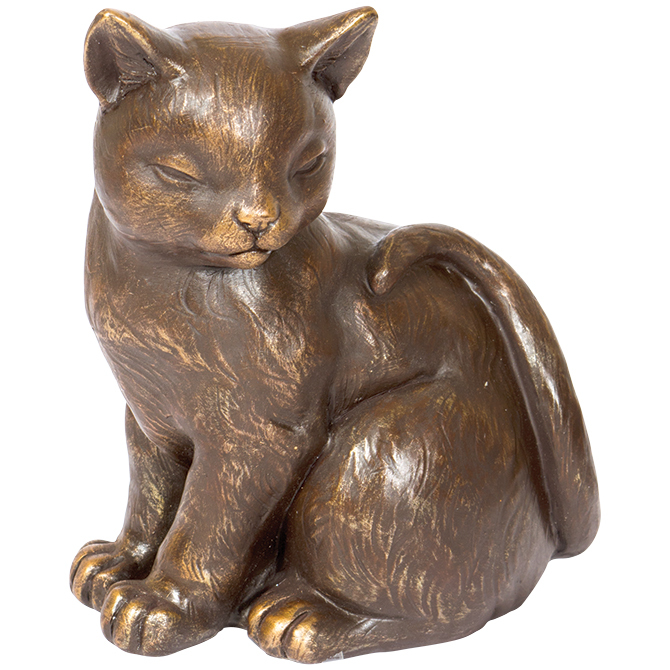 These "hollow" urns are a memorial container for your beloved cat's ashes. The bottom of each urn has a key lock opening, which allows access to the inside of the urn and keeps the ashes dry and secured.